Camping and experiencing the great outdoors is one of the most exhilarating and life affirming passions that a person could enjoy. As passion grows, so does the anticipation for the next trip. If you are anything like us, you would have mapped out all the places you want to head to next. The hikes you want to take on, the adventures to embark on and out-of-the-ordinary lands on which to pitch your tent. A sort of camping bucket list to work your way through. One place that is always high on a camper's bucket list is the beautiful state of Texas. It is a part of the United States that holds a special allure. This draw might come from the sheer size and vastness of the state. It might have been kindled by old cowboy westerns and picturing the many breathtaking scenes. In many ways Texas represents all we love about the outdoors. The diversity, the wildlife, the mountains, the winding rivers and vibrant woodlands. There are many sides to the vast and beautiful state of Texas. Being the largest state in the US mainland, Texas not only engulfs a wide variety of landscapes but also climates. Unlike many other parts of America, Texas doesn’t necessarily have an off-season for camping. Sure, in parts, the Lone Star State can experience extremes. Whether it be snow falling in some regions in winter or the blistering heat of summer. However, for the most part, there is a mild climate that allows for year round adventuring. Spring, for many, is the perfect time of year for camping in Texas. The temperatures are rising but not uncomfortably so. It is busy, but not overcrowded. Texas hits a nice balance in the spring in many respects. There is a treasure trove of activities, no matter your interest. Not only that but there’s plenty cause to celebrate. Falling during the spring months are - ‘St.Patrick’s Day’ in March, ‘Cinco de Mayo’ in May and, of course, ‘Spring Break’ in Easter. That’s only the tip of the fun to be had. For all our campers, spring camping in Texas offers a huge amount. For wildlife enthusiasts, it is peak season for birding. This is mainly due to the avian migration, which brings all manner of birds through the Lone Star State. The state flower, the ‘Bluebonnet’, blooms in spring which is a brilliant attraction all in itself. For water lovers, activities such as scuba diving, canoeing, tubing and fishing swing into action. If water sports and birding aren’t your thing, the warm climate is perfect for hiking, mountain biking and all other outdoor excursions. The list is practically endless. One thing is certain, you won’t be left wanting in the springtime in Texas. The summer months bring huge numbers of vacationers to the Lone Star State so be sure to book your campsite well in advance. We don’t know whether to warn or rejoice but one thing needs mentioning - it gets pretty warm out there. If you plan on camping out in the heat you best aim to get a site near the water if possible. All the activities outlined above for spring are still available but water sports and water activities become even more prevalent in the summer heat. With canoeing, water-skiing, swimming, tubing and more, there is a lot of fun to be had in the Texan waters. It has been said that summer camping in Texas is not recreation but a test of character. If you do not come prepared for the searing heat, that may well be true. Rain is rare but the climate can be unpredictable all the same. Temperatures during the three months consistently sit in around the 90F mark. It is particularly dry out West and tends to cool down considerably at night. Out East tends to be significantly more humid with very little respite. These, of course, are factors that must be considered before deciding on your destination. The sometimes severe heat can often play a key role in your overall enjoyment. There is no reason to fear the Texas heat but our advice is to be prepared. Below are our top tips to help you enjoy camping in Texas in summer. Stay Hydrated - Make sure you have access to plenty of water and stay hydrated. If you are heading off on an afternoon of hiking, be extra careful. The heat combined with exercise means that the typical 5-8 glasses per person might not be enough. Set Up Camp In Shaded Areas - An obvious one but extremely important nonetheless. If you are out in the sun all day, you want to be sure you get a break at day’s end. Do Your Housekeeping Duties Early - Temperatures are highest in the middle of the day so plan ahead. Get all your daily chores such as chopping wood and filling up water supplies out of the way early. Be Prepared - Most importantly, be prepared. If you are going out in the sun make sure you carry sunscreen, sunglasses, insect repellent and even a light jacket to contend with the unpredictable changes. Insulate - Insulation works not only in the cold to help keep you warm but also in the heat to help keep you cool. This is why Crua’s range of insulated tents are truly all-season products. Fall’s arrival marks the end of the sometimes over-powering heat of summer. The slightly cooler temperatures tend to make activities that bit more enjoyable. We don’t want to be too dismissive of the summer heat but in the fall, activities that involve extended periods outdoors such as hunting, mountain biking, fishing and hiking become much more manageable. Camping in Texas in the fall is a beautiful time for sightseeing. The foliage undergoes an awe-inspiring transformation from green to vibrant red, yellow and orange. The abundance of color in the state parks alone can be as big an attraction as any activity that is to be had. In many parts of America, the winter months bring a lot of rain and snowfall but Texas in winter offers a more eclectic mix. The state’s 268,000 square miles envelop a wide range of climatic conditions. Northern and western areas of the state can become very cold with some snowfall. However, the weather is generally mild in most regions. The summer crowds and extreme heat become a thing of the past come winter so if you get it right, winter camping makes for a great experience. Our biggest tip for camping in Texas in winter is to be flexible. You can get lucky with great weather but conditions can change at the drop of a hat. Dress in layers if you are hiking and pack for all types of weather. Bring warm clothes, rain-gear and make sure you to read up on the specific region which you are visiting. If there is a heavy chance of snowfall you might want to consider another region or try a different time of year. Part of the reason why Texas is a camper's dream is the year-round accessibility. The winters can be harsh at times and the summers can be testing. In many parts of the state, the weather doesn't hit such extremes as to prohibit camping. Our advice is to know the area you plan on camping in and the type of weather to expect. 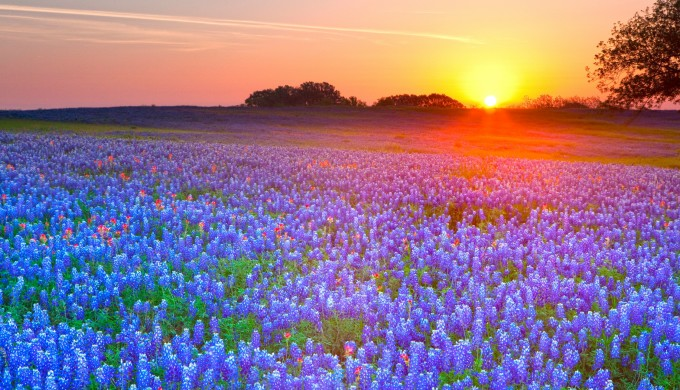 There are four amazing seasons to enjoy in the Lone Star State, why not make the most of it. While the 50+ National Parks of the United States seem to get all the attention, the state parks bring a lot of the real camping treasures. In Texas alone, there are over one hundred state parks to choose from. In one sense, the abundance of options means that finding a park that meets your camping needs will not be a problem. However, for newcomers to Texas, this also makes it very hard to get even a small taste of what the state has to offer in one visit. Due to vastness of the state, there is great variety from park to park. When deciding on your particular camping adventure, it makes sense to look at little closer at the specific regions of Texas. For most intents and purposes, Texas is divided into seven regions. To the north, there are the Panhandle Plains. 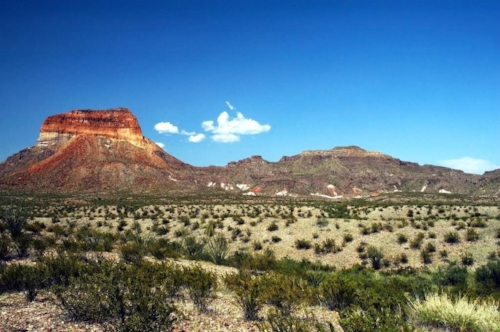 In West Texas you have Big Bend Country and Hill Country. To the east there are the Piney Woods, Prairies and Lakes and Gulf Coast. Finally there is the South Texas Plains. For every adventurer, each region brings its own draw. The regions are distinct geographically but also features their own set of attractions. The northernmost area of Texas is called the Panhandle. The region has mostly flat, grasslands or plains. When you think of the Panhandle, images are conjured up of stunning red cliffs, high, flat plateaus and windswept prairies. This is definitely true in a lot of areas. The eastern part of the region is not quite as flat however. It is on lower elevation and susceptible to heavier rainfall, this makes it more brushy than the traditional view of the plains. Other parks of note include ‘Copper Breaks State Park’ to the southeast of Amarillo, ‘Caprock Canyons’ located just south of Crowell. While two of the best lakes in the region can be found ‘Lake Arrowhead’ and ‘Possum Kingdom Lake’. The are some majestic state parks in the ‘Panhandle’. ‘Palo Duro Canyon’, the “Grand Canyon of Texas”, is widely considered to be the best area in the Texas Panhandle for hiking and camping. Located just south of Amarillo, it is the top pick by some of our highly experienced brand ambassadors. The area boasts excellent hiking trails, with the famous Lighthouse Trail a highlight, as well as stunning rock formations and remarkable scenery. Below and to the south of the ‘Panhandle’ is the ‘Big Bend Country’. 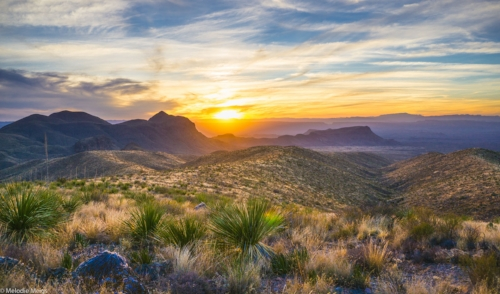 Offering some of the most scenic landscapes in the entire state of Texas, the region is home to the famous ‘Big Bend National Park’. This spectacular park is seen by many of our community as the best camping in all of Texas. Spanning the length of the Rio Grande, it offers incredible opportunities for kayaking, boating and fishing. The park is home to over 4,000 different species and contains over 238 miles of multi-use trails. A camping trip in ‘Big Bend State Park’ is high on the bucket list of some of the most experienced campers we have met over the years. Other State parks of note in the Big Bend Region include ‘Davis Mountain State Park’ and ‘Balmorhea State Park’. South of the ‘Panhandle’, in Central Texas is ‘The Hill Country’. Austin and San Antonio can be found in this region but it is the state parks we are interested in. This area of Texas has many beautiful rivers, lakes and creeks. Inevitably, a camping trip to the ‘Hill Country’ will bring you to the river, where water revellers enjoy some of the best tubing and kayaking the state has to offer. The ‘Hill Country’ is home of the ‘Garner State Park’, one of the most popular destinations for campers in the entire state. This famous camping wonderland contains over 1,774 acres of scenic, karst terrain, full of deep canyons and crystal clear streams. The park itself is located along the Frio river. However, if you are looking for a camping adventure by the river, you would be hard pushed to find a more beautiful destination than the ‘Guadalupe River State Park’. Many people come to The ‘Hill Country’ specifically for a kayaking and camping double adventure. Along the Guadalupe River, you will find the best of both. The ‘Pineywoods’of East Texas are primarily covered with thick pines and oaks, heavy bottomlands and skyhigh hardwoods. Sprawling swamplands are common, especially in the ‘Big Thicket’ at the southernmost point of the region. The natural, rich woodlands of the ‘Piney Woods’ is like nothing else in all of Texas. The sheer diversity is stunning. Cut straight through the region and you will find marshes, lakes, rivers, prairies, and of course, rich forests. 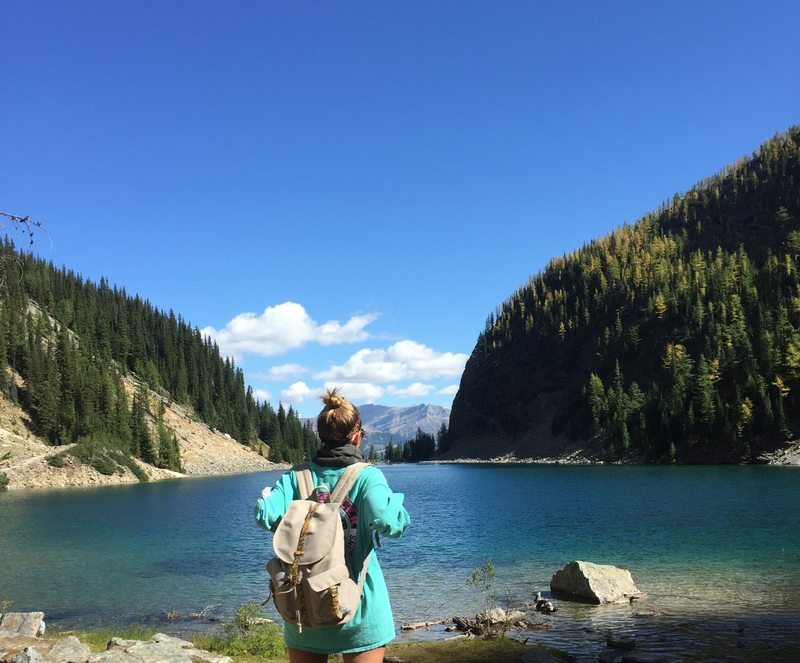 After reaching out to the Crua Community, some of the favourite camping destinations mentioned included the ‘Martin Creek Lake’, ‘Martin Dies Jnr.’ and Tyler State Park. Texas is a land of unending diversity. Nothing more represents this fact than the 350 miles of golden beaches along the warm waters of the Gulf of Mexico. For campers, you’ll find amazing wildlife and some of the best birdwatching in the country. Water sports enthusiasts have a host of options and the ‘Gulf Coast’ is well regarded as a hotbed for fishing. When summer hits, it is not uncommon for woodland campers to seek coastal refuge. Campers will find some of the very best beach camping along the ‘Gulf Coast’. Choose from a smattering of beach parks, all carrying their own allure. From the secluded ‘Sea Rim’ to the beautiful ‘Galveston Island State Park’, there are many warm and inviting options along the Texas coast. Wedged in between the ‘Panhandle Plains’ and ‘Hill Country’, and ‘Piney Woods’ is the ‘Prairies and Lakes’ Region of Texas. The names gives away the main landscape of the region. ‘Lake Fork’, ‘Cedar Hill’ and ‘Lake Ray Roberts State Park’ are some of the most popular parks in this area. With people coming from all over to sample for the great fishing to be had in their lakes. However, if you are bringing children to this region, a number of our ambassadors have recommended ‘Dinosaur Valley State Park’. This state park has one of the largest collections of dinosaur footprints. Both children and adults alike can enjoy the thrill of stepping in the world renowned dino footprints in the Paluxy riverbed. The ‘South Texas Plains’ stretches from the edge of the ‘Hill Country’ to the ‘Gulf Coast’. Much of the south is humid with grassy plains. Again, you will find the unique ecosystem of the ‘Rio Grande River’ merging into this region. The subtropical climate attracts many unusual tropical birds from South America. We have heard it said that a visit to the borderlands of the ‘South Texan Plains’ gives you a taste of Mexico without having to cross the border. Camping in the ‘South Texas Plains’ offers a colourful blend. Many of the state parks standout for a host of reasons. ‘Bentson-Rio Grande Valley State Park’ is home to over 300 species of birds and serves as the headquarters for a unique network of world birding sites. ‘Resaca de la Palma State Park’ boasts the largest tract of land within the World Birding Center network. While fishing at the ‘Choke Canyon State Park’ is celebrated as some of the best in all of Texas. Within the seven regions of Texas there is an eclectic mix. Each region has its own vibrant personality and choice of adventure. Regardless of the region or state park you choose, one thing is certain - you won’t be short on options in the Lone Star State. After Familiarizing Yourself with the Seasons and Regions, it's Down to the Nuts and Bolts. Once you decided on where you are going to go and what time of year, the next port of call is understanding the camping territory. The do's, the don'ts and the musts for planning a camping adventure in Texas. Rattlesnakes - When hearing war stories of camping in Texas it is common to hear a mention of rattlesnakes. Rattlesnakes are often misunderstood and do not go out of their way to confront humans. However, if you stumble upon one by accident there is a possibility they could bite. More often than not these are warning bites which usually occur when accidentally trampled upon. The rattlesnake is venomous but they can decide exactly how venous their bite is. If you spot a rattlesnake, it is best to leave it alone and not anger it. If you do get bitten by a rattlesnake you should call emergency services right away. As highlighted above when we discussed the four seasons of Texas, there are great extremes when camping in the US mainland's biggest state. During the summer it can get uncomfortably hot in parts while temperatures can drop below freezing in winter. It is important that you have a tent with great insulation. 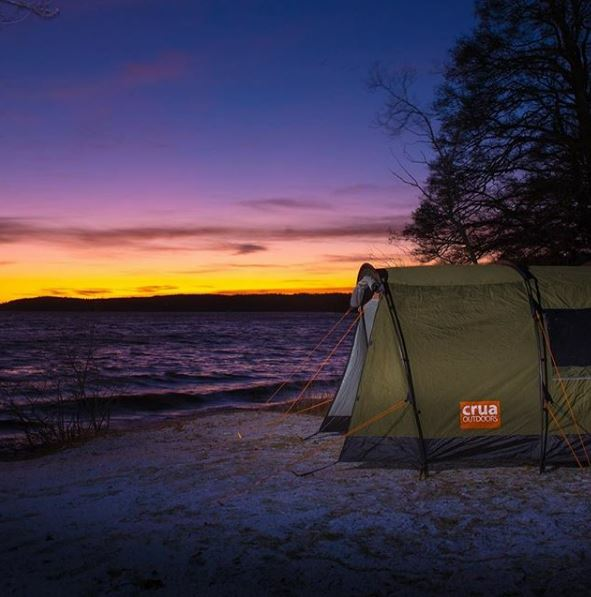 Your tent needs to be capable of keeping you warm in winter and cool during the summer months. Within the Lone Star State there are options a plenty for camping. The immensity of the state is something we've mentioned many times and will continue to do so. There are amazing state parks and campsites located by beaches and rivers. For the more adventurous there is also some great opportunities for primitive camping and embracing the famous Texan outback. Texas has a lot to offer and below we will go through some of the incredible options. No matter what your preference, there will be something to quench your camping thirst. One thing we love about camping in Texas is the unending variety. From region to region there is such change in landscapes and terrain. Camping in the Old Country or Big Bend Country seems like worlds away from the South Texas Plains or the Gulf Coast. When you say you are going camping in Texas, it only gives a fractional explanation as to what you are doing. Camping in Texas could mean a night spent in the desert, on the plains, in the forest, on the prairies, or in this case - by the beach. Sometimes all you need for the perfect Summer holiday is a little bit of sun, a solid tent and a patch of sand to pitch it on. Everything after that will take care of itself. There are few getaways in the world that rival a beach camping trip. For relaxation and tranquility especially, it is hard to top. Camping anywhere symbolizes an escape from the world. When you add the seaside into the equation, how could you be anything but care-free? A beach camping escape has it all. The soothing sound of waves, the blissful sunrise and sunsets, the abundance of activity and not to forget, the mandatory sunbathing. Add to that the roaring flames of beach bonfires and the sense of freedom that comes from filling days laying on the beach or playing in the water. Day or night, it’s hard to beat. Days filled with sun, sand, and surf, nights spent under the stars listening to the water’s symphony. Why Beach Camping in Texas? Nothing more represents the diversity of Texas than the, somewhat unexpected, 350 miles of golden beaches along the warm waters of the Gulf of Mexico. For campers, you’ll find amazing wildlife and some of the best birdwatching in the country. Water sports enthusiasts have a host of options and the Gulf Coast is well regarded as a hotbed for fishing. Of course, the Gulf Coast isn’t the be all and end all of beach camping in Texas. The aforementioned diversity of the state means there are a host of great options. With the help of our community we whittled it down to our most highly recommended. The list isn’t exhaustive and we would love to hear your input. Nonetheless, in a state full of outstanding camping opportunities, here is ones to beat. The Crua community’s top locations for beach camping in Texas. 18 mile long barrier island which has over five miles of beautiful coastline. At the Southern end of the island are Padre Island and the JFK causeway which connects to Corpus Christi. There is plenty of sandy beach to enjoy and activities to be had. These include outstanding bird watching and a chance to paddle along the Mustang Island State Park Trail. 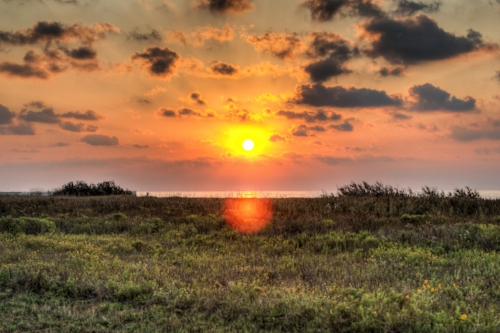 There are over 48 campsites to choose from on Mustang Island. Padre Island is home to some spectacular beaches in the most serene of settings.There are no reservations required and no designated camping areas. One unique event that occurs on the beach is the release of the endangered Kemp’s Ridley Sea Turtle hatchlings. 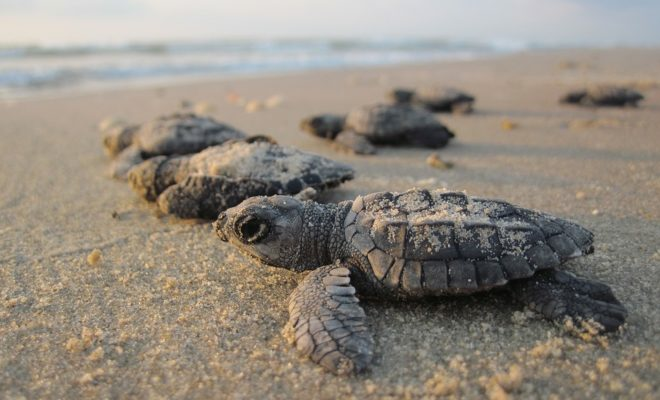 Hatchlings that have been rescued and rehabilitated are released back into the wild. A unique and remote state park, where gulf meets marsh at the far southeast corner of the state. There are over 15 campsites with electricity and other amenities. These amenities include picnic tables, outdoor grills and lantern posts. These sites require a reservation although there are over 75 primitive campsites which do not. Once again, there is ample opportunity for fishing, kayaking, stand up paddleboarding and other water activities. There are plenty of paddling trails laid out to really get a taste for what the area is all about. Campers can also enjoy a stroll along the Gambusia Nature trail. A unique boardwalk through the marshy lands adjacent to the beach. A quick note on what exactly is river camping. River camping is pitching your tent by the river and enjoying all the activities that the river has to offer. A river-orientated camping trip can be one of the most fun experiences for any camper. This goes doubly for camping in Texas where there are some fantastic rivers with 15 major rivers flowing through the state. There are also a huge number of named streams and waterways. There’s a lot of choice for river camping in Texas. There are activities a plenty in river camping. Obviously, if you want to stay put there is ample opportunity for swimming, fishing or exploring the riverbeds. However, day long trips downstream is what river camping is all about. In Texas, the majestic rivers are perfect for canoeing and kayaking. If you plan ahead, you can easily find places that rent equipment near a river campsite. Another much loved activity is tubing. What better way to explore a river and immerse yourself amongst the wildlife than by relaxing in your own inflatable tube as the water guides the way. As we already mentioned when we examined the seasons of Texas the Summers can sometimes get uncomfortably hot. River camping provides the perfect medium in those hot months. For many, having a river nearby and basing your adventure around the fresh waters is the only way to survive. It also creates an expansive choice of activities, allowing you to really make the most of every minute of your camping trip. Although we highly recommend river camping and see it as the perfect active holiday, the river must be respected. This shouldn’t put you off but we wanted to highlight a few things to keep in mind. Keep your distance - This word of warning is for your belongings more than anything. 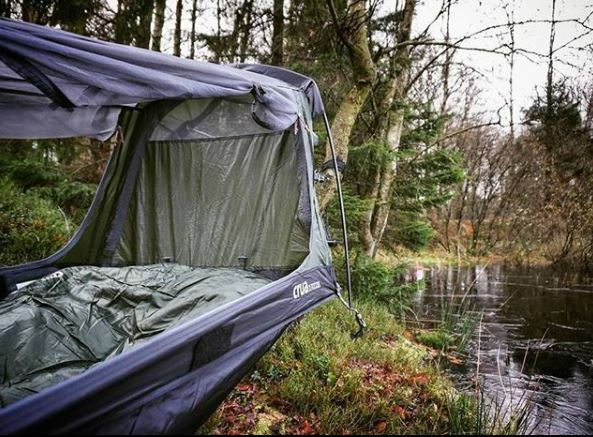 Especially if you are heading out for the day, make sure you set up camp a good distance away from the river. A rise in water level can sweep your belongings away or destroy them altogether. Make sure to keep everything on high ground and never camp on a dry riverbed. Let others know when venturing alone - Even if you are just breaking off from your group momentarily for a quick dip or to explore the riverbed, always let a member of your group know. This is especially important for younger members of your party. Beware the dangers - River camping is a safe and fun experience once you know the dangers. Know what to do if you capsize a kayak, don’t sneak up on any wildlife that congregate by the river and practice caution when partaking in all water activities. With river camping, there is nothing stopping you from embarking on a primitive camping adventure. However, with so many major rivers going through state and national parks, river camping caters for all levels. A fully equipped campsite can heighten the enjoyment of a relaxing camping trip by the river. Below are just a few of the majestic rivers of Texas at which to enjoy your river camping adventure in Texas. Located just a short drive from San Antonio and Austin, Guadalupe River is arguably Texas’s most well known. Four miles of river flows through the park and caters for a host of water activities. River revellers can swim, canoe, fish or go tubing. Off the river there are many beautiful hikes with stunning scenery all around. Equipment such as fishing rods can be rented from within the state park itself. A popular state park with a host of campsites to choose from. 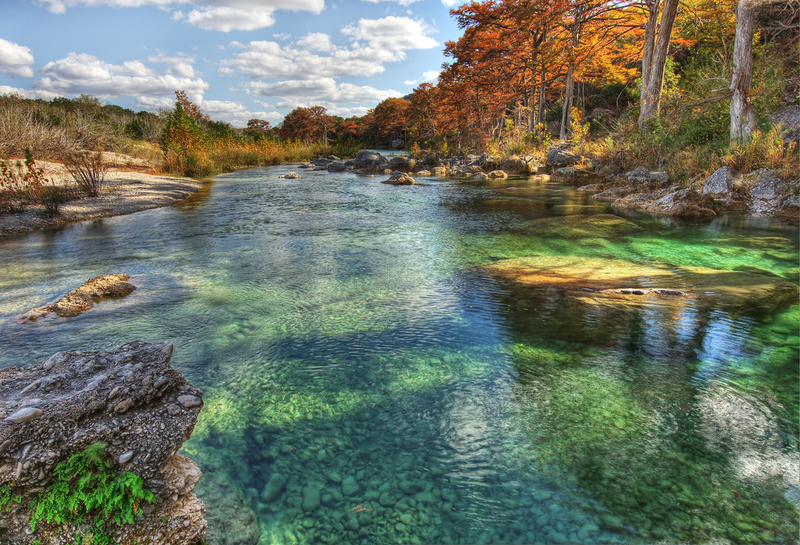 The crystal clear, cool waters of the Frio River bring thousands of people to Garner State Park each year. In one of the most picturesque settings in all of Texas, the Frio River flows through the state park for almost three miles. River campers can enjoy the beautiful scenery and all the activities mentioned above. Paddle boating is just another activity that is immensely popular in this area. While embracing the crystal clear beauty of the Frio, you can set up camp in one of the many campsites available within the park. The scenic Sabinal River meanders through the corner age of Lost Maples State Natural Area. This is not a state park so amenities can be slightly less sophisticated that the previous too mentioned. However, there is still over thirty standard campsites to choose from. The Sabinal River is one of the most beautiful waterways in the entire state. Each fall countless people come to see the renowned fall color. However, all year round river camping enthusiasts can take in the incredible wildlife and the breathtaking, steep canyon walls that highlight the river’s beauty. Activity-wise it’s much of the same. Lots of fun, lots of hikes, lots of activities and never enough time. The term “primitive camping” conjures up images of a true wilderness adventure. It implies a movement back to prehistoric ways. 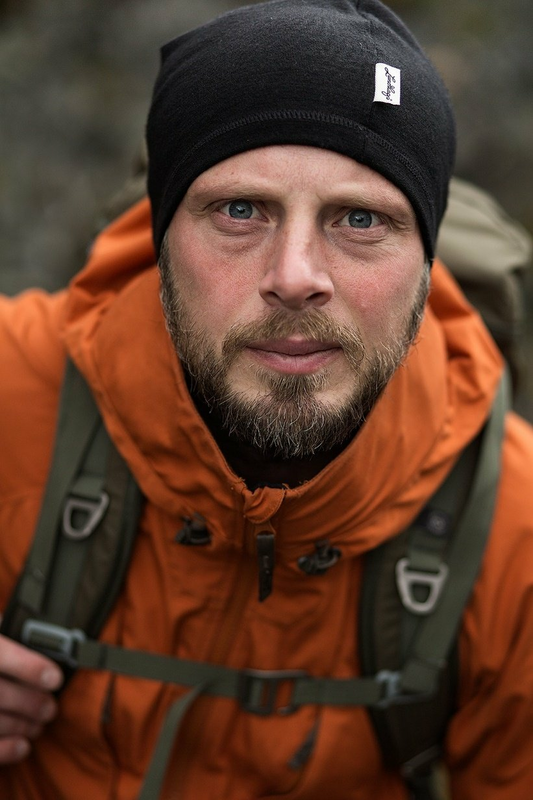 Picking wild berries, hunting for meals and being completely at the mercy of the elements. The modern version of “primitive camping” is a little different. Nowadays, it typically means camping in less populated areas that are not fitted with all the amenities. Sometimes you can drive your vehicle up to the campsite. Oftentimes you might need to take a short hike, or in true Texas fashion, ride in on horseback. In Primitive campsites, you have fewer neighbours and often go without running water, bathroom facilities or electricity. Although how basic the setup will depend a lot on the specific location. Sometimes you might even have to go without cell service, how’s that for primitive? Of course, a more extreme version of primitive camping still exists. Seasoned campers might go backpacking through the backcountry. This form of camping requires lots of experience and knowledge. 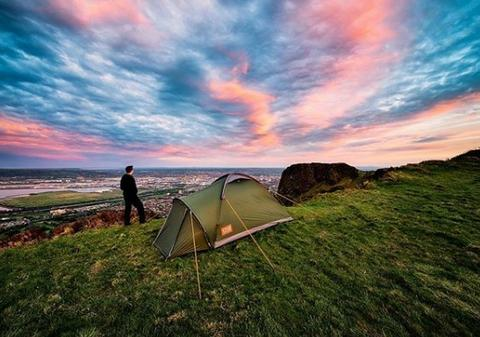 Campers who brave the wild in this way might be the first people to pitch their tent in the place they stop. Of the two, for camping in Texas, it is ‘organized primitive camping’ that is most common. Why Choose Primitive Camping in Texas? As you consider the type of camping adventure to embark on in Texas, the topic of primitive camping might come up. If you are unconvinced of the merits of primitive camping, below are a few reasons you might enjoy it. A True Camping Experience - Primitive camping is a true camping experience in itself. You feel more like the cowboys of old Texas. You become more self-sufficient instead of relying on modern luxuries. Avoid The Crowds - Some campsites in Texas can get very busy. Primitive camping usually takes you away from the crowds, bringing extra peace and quiet to your adventure. Uninterrupted Family Time - Some primitive campsites might not be too family friendly, they may be a little more extreme and require long hikes to get there. However, in a lot of cases, primitive campsites make for a great family experience. There is a lot to be said for a conveniently located campground with no hookups. No hookups remove the distractions of the outside world and brings families closer together. Keep The Costs Down - Last but not least, primitive campsite are generally a more low-cost option. As we have touched on already, there are an incredible number of great campsites in Texas. The majority come with full hookups (water, electricity, sewage). There are also an array of campsites that provide standard (water, electricity) or even basic hookups (water only). All of these options would be the more traditional route to go as they provide a certain amount of amenities. Even within the ‘organized primitive camping space’, there is a lot of choice. We want to help you find the camping adventure that is right for you. Below are three different options for primitive camping in Texas along with some of our favourite sites. Drive-up Campsites With No Hookups - As the name suggests, these campsites have no utilities but may provide other amenities such as picnic tables. As you can drive your vehicle to the site, they are a bit more family friendly. ‘Big Bend Ranch’, ‘Hill Country Natural Area’ and ‘Devils River Natural Area’ provide some of our favourite campsites of this nature. Walk-in Tent Campsites - With walk-in campsites, you need to carry your gear a short distance to the hikes. Make sure you have some idea of how short or long that hike maybe so you are not caught off guard. Within ‘Dinosaur Valley State Park’, ‘Palo Duro Canyon State Park’ and ‘Guadalupe River State Park’ are some of our favourite walk-in campsites. Boat-to Campsites - To complete our list we wanted to provide something a little different. Again, within ‘Devils River Natural Area’ there are campsites that can only be accessed by canoeing or kayaking down river. This obviously might be ruled out as an option depending on the situation but we think it makes for a great camping adventure. So far in our camping guide of Texas, we’ve highlighted a lot of great campsites. We’ve listed some of our community’s favourite campsites in each of the regions of Texas. We’ve given an insight into some of the top primitive campsites and beach campsites. The camping grounds listed all come with their own charm and unique set of attractions. However, there is one thing that they all have in common - they come with a fee. For short stays this fee is very manageable and actually quite reasonable. However, if you are planning on a long term camping adventure, the daily rates can really add up. This becomes even more relevant if you are travelling with family. For experienced campers on a budget you might be assessing your options. Free camping is never as straightforward as it sounds. So, we decided to put together a short guide for free camping in Texas. There are obviously trade offs involved in seeking out free camping in Texas. When you stay in private campgrounds or state-run parks you have access to certain amenities. The campsites are generally in more developed regions. With free camping, you are roughing in more ways than one. You have to be a lot more self sufficient and do extra planning. There will generally be no running water, sewage system, trash cans, picnic tables etc. In free camping, you are taken off the beaten track. This usually amounts to a lot more effort but more adventure also. The decision to go free camping also requires that you have a certain amount of knowledge of the lands you stay in. Anywhere in the US, the land is managed by a wide variety of national, state, and local governments. There is also privately owned land, federally owned land and Indian Reservations. There is a proverbial minefield of different rules and regulations to negotiate with. If you end pull up somewhere and think that no one will care, you will often be mistaken. You need to be well versed on where you should and should not stay. You don’t want your free camping trip to become your illegal camping trip. There are a number of ways to find places you can legally camp in Texas. Before you do that however, there are a couple of things you should know. The first is that no matter where you stay, you are most likely going to be subject to time restrictions. Usually this means you can only stay up to 14 days in one place. Try to find out the precise restrictions for whenever you end up pitching your tent to avoid any issues. The second point is to make sure you abide by the Leave No Trace Principles. You will have to take all trash away with you. This is definitely one to consider. Longer stays usually equate to a lot more trash than you’d expect. You also must leave the place exactly as you found it. This means no taking away anything that you found and being extra cautious if building campfires etc. How Do I Find Places To Camp Legally? Texas is one state that is particularly difficult to find free places to camp. This goes back to when United States wanted Texas to join the union. Texas would only comply if they were allowed keep most of the unsettled land owned by Republic of Texas. This means that on most stretches of land, you are on the property of others. With that said, below are three ways to find legal spots for free, or next to free, camping in Texas. Look For Wildlife Management Areas (WMAs) - Wildlife Management Areas are are operated by the Wildlife Division of Texas Parks and Wildlife. There are over 47 Wildlife Management Areas, encompassing some 714,094 acres of land. 21 of these WMAs offer overnight camping. A full list of those sites can be found here. Talk to a Ranger - The very best way of ensuring peace of mind is to speak with a ranger in the local area. Oftentimes there can be free parking in BLM (Bureau Land Management) managed lands or Forest Lands. However, your best bet is to call or drop into a National Forest or BLM office. The rangers there will be happy to give advice and point out areas where you can camp legally. By speaking to the rangers you are getting the lay of the land from the people that know it best. Search Online - Free camping or searching for free camping has become quite the hobby in recent years. There are many resources online dedicated to helping campers find free camping areas. Check out FreeCampsites.net or Campendium to compile your own list. At Crua, we love nothing more than seeing members of our community going out and experiencing the great outdoors. You don't need much to create your own adventure - some good friends or loved ones, a spirit for embracing the wild and being at one with nature. It also helps to know your way around (after all, that's the reason we put together this guide) and to be prepared. Being prepared means being ready for the inevitable and the unpredictable. One part of preparations is making sure you have the right gear. This is something we take very serious at Crua. We've used our vast experience in insulation and the outdoors to come up with something really special. You won't find a better thermally and acoustically insulated tent in the world. Our insulation technology cools you down when you overheat and warms you up when the temperature drops. 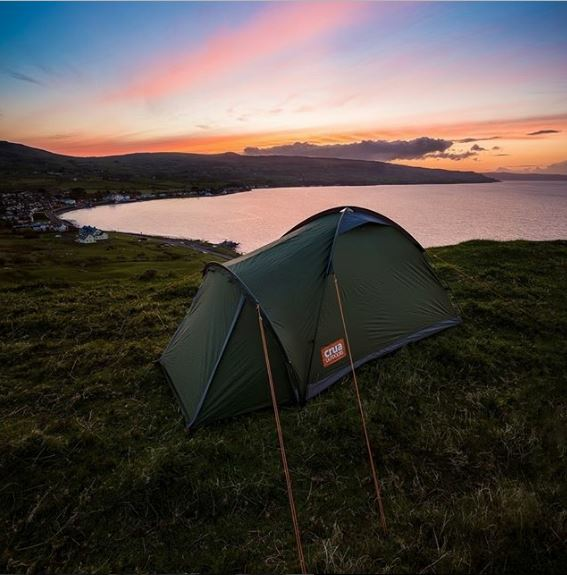 You can check out our full range of tents and other products on our website - Crua Outdoors. Whether you are preparing for the ultimate camping trip to Texas or experiencing wildlife closer to home, make sure you plan ahead, stay safe, bring the right gear and most importantly, embrace the experience. Happy camping!